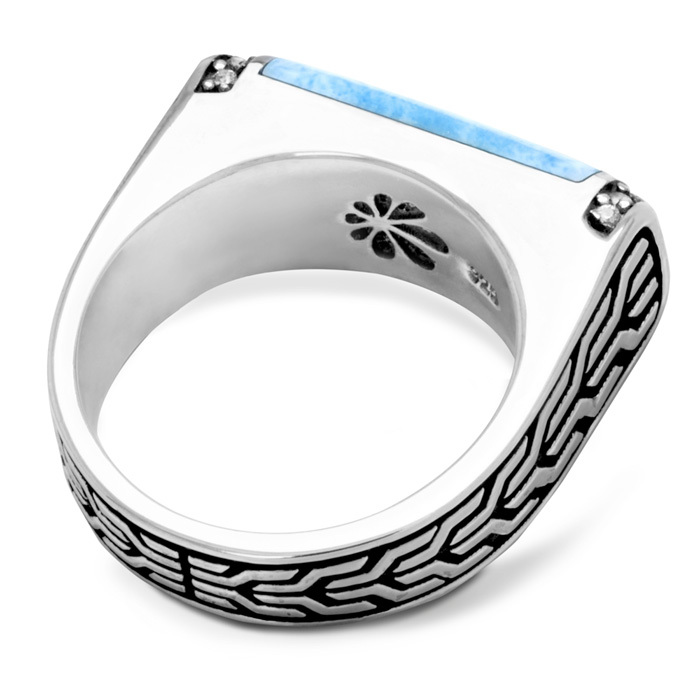 A handsome arrangement of inlaid larimar edged by white sapphires is the crowning feature of our Eros ring. 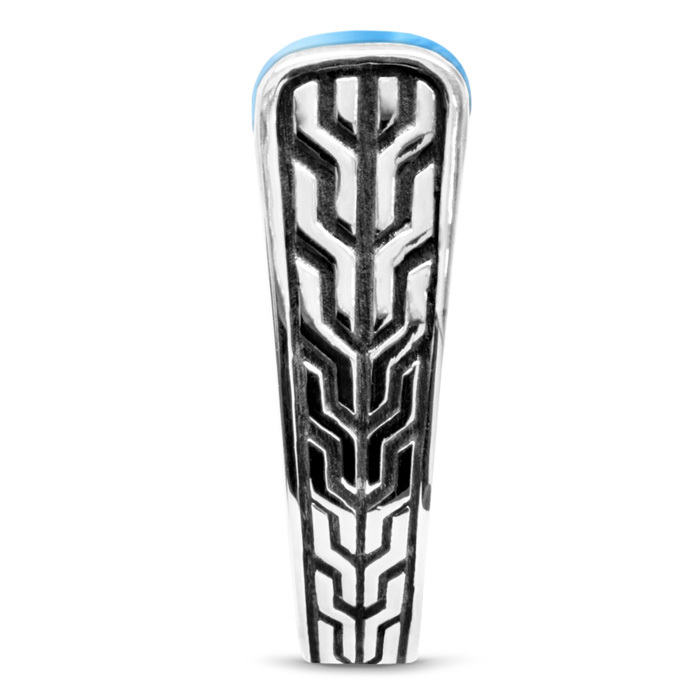 The silver band is etched with a unique design repeat that reflects the eternal power of love. Adorn yourself wisely with this powerful piece! Product Details: 9x15mm larimar gemstone with white sapphire and sterling silver.